At the moment I'm reading Atomic Habits by James Clear, a book about building good habits and breaking bad ones. The book puts forward the argument that the accumulation of our daily habits is what determines our future. This means that if we want to get somewhere, its the things we repeat regularly that matter most. This idea is somewhat counter to our tendency to consider achievement of the outcome we’re going for as the measure of our success. What Clear is asserting is that it's not actually the goal that matters – it’s the system, or habits we create to reach the goal, that matters more. "If the system is working, then the outcome will take care of itself" - James Clear. This thought prompted me to consider how it may apply to food marketing and innovation. One of the ways we often look to create differentiation in the market is to focus on an outcome. This is frequently linked to a goal such as creating or marketing products as containing ‘the most probiotics’ or ‘the least amount of sugar’ or ‘the highest amount of fibre’. While these outcomes can provide a point of difference in the market, the problem is that eventually we discover there's a floor or a ceiling we can’t get past anymore and at which point such goals become redundant. For example, there is only so much fibre you can put into a product before the amount causes digestive discomfort, rather than contributing positively to good health. Similarly with whole foods. There are only so many ways we can influence the natural nutritional profile of a food before we run out of options. So what would it look like if we focused on creating better habits associated with food consumption, or on setting up better systems associated with food production, packaging and distribution, and started marketing that, rather than focusing on being the 'best', or the 'greatest', the 'lowest' or the 'highest'? This perspective may be a useful way to help re-direct our thinking, open new avenues for innovation and provide the opportunity to tell better stories about our brands and our products to consumers. Investing in encouraging better habits or in creating better food systems can stretch from food production and distribution through to retailing and consumption. There are many options that if adopted, provide infinite ways to differentiate and communicate better stories about our food. Food reformulation targets are one well known way to invest in 'better', by providing guidelines for food production that result in healthier foods. This in turn creates currency for brands and consumers by providing evidence that a company is meeting consumers desire for 'better for you' foods. Other ways to create currency in 'better' include looking for ways to improve methods for farming that reduce environmental inputs, using renewable resources in production, using electric powered vehicles in distribution or encouraging more mindful snacking and consumption habits. It can help connect in a more authentic way with the growing, more conscious consumer. Being perfect or already being the ‘best’ leaves little room for improvement. It's a clear indicator of transparency – if you are not perfect, and not ‘there’ yet it indicates an openness and honest way of being. It indicates a commitment to continuous improvement. Just like a commitment to life long learning is one of the keys to happiness and growth, a commitment to continuous improvement for a business can have a significantly positive influence on company culture. It may have benefits for teams. As James Clear outlines, "the problem with a goals first mentality is that you are continually putting happiness off until the next milestone is achieved. A systems first mentality provides the antidote. When you fall in love with the process, rather than the product, you don’t have to wait to give yourself permission to be happy. You can be satisfied every time your system is running". If the system and habits we adopt keep getting better and better, team satisfaction and contentedness also has the potential to keep on improving. If you want better results, then forget about setting goals. Focus on your systems and habits instead. Solve problems at this level and the outputs will look after themselves. Over the past two months the EAT-Lancet Commission report on Healthy Diets from Sustainable Food Systems was launched across 25 countries, including a local launch in Melbourne in February. This is important work given food production is the largest cause of global environmental change and a major contributor to population and personal health - areas that people are increasingly worrying about, as indicated in this years consumer trends research. The opportunity that global targets provide for food and beverage brands is two fold. Firstly, they provide a potential framework to audit current processes and practices and align company wide commitments for improvements with these targets, providing the groundwork for credibility and serving to build trust. Secondly, and equally as important, is the opportunity to use this work as the basis for telling better food stories to consumers about how businesses are taking action toward improving the food system for the future. Reflecting on my work with clients over the years, I believe we're well versed in setting targets, brand guardrails and commitments around ingredients or creating benchmarks for nutrient content, but we could be doing better at turning this work into meaningful stories that resonate with consumers. It's one way to provide greater levels of transparency, grow trust and create more insightful ways of communicating with an increasingly knowledgeable and informed consumer base. It's not what you know that matters - it's how you tell the story. One company aligned with global targets and telling their story well is Schulz's Dairy - a family owned and run organic dairy farm in Timboon Victoria. Operating by a set of principles including sustainability, animal welfare, purity and community engagement, the company has developed a tribe of loyal followers by sharing their story in a meaningful way. In fact, people love the brand so much, they are paying for their innovation! As an example of how they approach their business, when realizing the contribution they were making to the 2 billion 1-litre single-use plastic milk bottles that are used and discarded in Australia each year, the company set out to bring back reusable glass bottles. After trialing returnable glass bottles at the local farmers markets and receiving an overwhelmingly positive response, they decided to press ahead with a change from plastic to glass. To fund their glass bottle operation, they ran a crowdfunding campaign and after just 4 weeks, had raised over $106K from 1182 supporters! A record for this type of fund raising. People want companies to lead the way when it comes to sustainability and they appreciate the efforts that go into making positive change happen – so much so they’re prepared to contribute to the cause. Opportunities for innovation exist across the entire food system and the EAT-Lancet report provides specific targets outlining where change is required, and where it is backed by scientific evidence. It also provides an insight into the way government and public health policy may go in the near future. Taking responsibility for making change, where change is required in the food system, provides the basis for decision making and for telling better stories about food, brands and corporate responsibility that will resonate with consumers. This in turn is good for business, has customers feel great about purchasing your product, builds trust and is good for future generations. The EAT-Lancet Commission report on Healthy Diets from Sustainable Food Systems provides global targets around food consumption and production to help achieve the Sustainable Development Goals and Paris Climate Agreement. For those in the business of food, it provides an insight into the issues that will influence future government and public health policies so is worthwhile being familiar with. Over the long weekend I found myself distracted by a video circulating on social media aimed at encouraging people to boycott toothpaste that comes in a box. According to the statistics, 900,000,000 toothpaste boxes are thrown out each year in the USA alone and the only real purpose they serve is to make the product look better. The story goes that in Iceland, consumer concern about the impact of excessive packaging on the environment ultimately lead to a change in people’s toothpaste buying habits. Now, 90% of toothpaste tubes bought in Iceland come without a box. While toothpaste may not have much to do with food – although it is good practise to follow your dentists advice and clean your teeth after eating - the point is that the campaign to boycott toothpaste in a box is symbolic of rising consumer consciousness about the impact our habits are having on the planet. It also highlights how this rising consciousness affects consumer buying habits and if we can predict change, it opens up the opportunity to lead it, rather than to simply follow. Currently there is a shift from a place of awareness about previously unconscious but unhelpful habits, to one of action. This action in turn is leading to change. Packaging is just one example. In the area of food, the rise of a more mindful consumer is also driving change in ingredient labeling, product sourcing, food delivery, communications and marketing practises to name a few. As we head into 2019 and consider the issues on consumers minds, the theme of change will feature highly and the ability to lead change will provide future focused food businesses with the opportunity to gain a competitive advantage. In fact research by Deloitte assessing the characteristics of leaders making progress today, found "Social Supers" - those leading businesses that are doing well by doing good - were one of the top four personas confident in their ability to handle the challenges that lay ahead. Mobilised by an innate desire to do good, consumers will be attracted to businesses that can demonstrate a social conscious when it comes to food production and consumption. The desire to align ourselves with businesses that are seen as contributing to the greater good is highlighted by Robert Greene in his new book The Laws of Human Nature. Greene points out that it is natural human behaviour to comfort ourselves daily about the moral nature of our actions. We like to think we are good citizens - that we are good team members, we treat people well, we help the right causes and that others will see us in a good light. It is this law of human nature that highlights the business opportunity for leading change in 2019. To build on our desire to feel good about ourselves and to take actions that reinforce this, the opportunity exists to review business practises through a lens of doing good - of looking for opportunities to make changes that will improve the health and nutritional quality of our products, and/or the food system that sits behind and beyond it. Contributing to the greater good draws consumers toward us. It reinforces their own self perceptions about doing good, and being part of a larger cause that is easy to participate in. Food is a major contributor to personal and planetary health, it plays a role in social connection and the preservation of cultural identity. There are many avenues for brands and businesses to tackle, providing significant opportunity to lead change, and build closer and more meaningful connections with consumers throughout 2019. Am I aware of the food related issues consumers really care about? Do I feel well equipped to lead change and not simply follow trends? Which areas make sense for me to target? If I am to lead change what would that look like? Do I know how consumer consciousness about food and health is evolving? The timing is right for food businesses to lead change in 2019. The key question is...are you up for the challenge? In a recent meeting, a dilemma arose about cream cheese. But before you start thinking cream cheese is a food of little significance, the issue discussed is symbolic, and one that sits at the heart of the future of food. The point raised at the meeting centred around the classification of cream cheese within the Health Star Rating system. Depending on how it is classified (as a dairy food, a non-dairy food, or a spread) it’s Health Star rating ranges from 1 up to 3.5. Hours of attention have been spent by cream cheese makers deciding how best to categorise cream cheese to ensure it carries an accurate rating, according to the Health Star system. The same issue will have been addressed by other food businesses across other food categories, and in other countries with similar systems, taking hours, days and weeks of attentional resources. This may seem trivial until we consider that attention is a finite resource. When we pay attention to one thing, it’s not just that we focus on advancing that particular thing, it’s that we also give something else up. Something that may have otherwise received our attention does not. The question this raises is that if we have limited amounts of attention, is contemplating whether cream cheese is a cheese, a spread or belongs in another category altogether, the best way to be directing that attention? Is the future of food about getting the right number of Stars or traffic lights on a label, or is there something else that we are giving up that could represent a better way forward? The validity of the Health Star system to improve public health is yet to be proven, and despite decades of effort to reformulate foods, we consistently hear that more needs to be done. If the tonnes of salt, fat and sugar that have been removed from the food supply to date are yet to make the population healthier, how far do we need to go before we start to make an impact? Perhaps there is an alternative - one that has not received enough of our attention. And that alternative could be to give more attention to the adoption of eating habits that improve our food culture, putting more focus on how we eat, rather than simply on what we eat. Directing our attention toward the French way of eating is one useful place to start. A recent study assessed elements of the French way of eating and their association with rates of overweight and obesity. After reviewing the habits of 47,219 participants, the researchers found that those who followed traditional French eating habits, such as sitting at a table with other people, eating three meals a day at set times, and considering meals as a moment of pleasure, were 11% less likely to be overweight and 24% less likely to be obese. From a public health perspective, a change of this magnitude would be considered a highly effective step forward. It raises the question - if we are seeking strategies to address overweight and obesity in Australia and globally, an equally effective, and perhaps less complex way to inspire change may be to divert some of our attention away from contemplating how to classify foods, and encouraging people to take time out to sit and eat, preferably with others and to eat with pleasure. It could be that encouraging the development of a food culture where we eat less, and take more time doing it, is a positive pathway toward a better future, where inspiration trumps regulation and food is recognised for more than its physical attributes. What type of food culture do you believe will be best for the future and what can you do to contribute to this vision? How do you want the next generation to think about what it means for food to be 'healthy'? What values about food are driving your product development and marketing efforts? Do these values need review to be relevant to today, and to lead you well into the future? If you would like a sounding board to help answer the above questions, please get in touch. And for five tips on how to eat like the French, check out this short video. Growing up, my son's favourite super hero was Spiderman. He spent many hours in his well worn Spiderman outfit shooting pretend web at the walls and jumping off the couch catching imaginary villains. So when the movie came out in 2002 starring Tobey Maguire, it was a must-see occasion. The story line sees Spiderman defeat Green Goblin - the alter-ego of billionaire Harry Osborn who is plotting to kill off his board members as revenge for their plan to fire him. Good defeats evil and the streets (and board rooms) are safe again. But it's the advice that Uncle Ben gives Peter Parker when he first learns of the powers he has acquired after being bitten by a radioactive spider that stands out for me - “With great power comes great responsibility”. I was reminded of this quote recently when hearing the news arising out of the Royal Commission into banking. The nature of the findings meant the commissioner himself came out blasting the Australian financial services sector for putting greed and the pursuit of short term profits ahead of honesty, ethics and integrity. If Uncle Ben were alive today, perhaps his mentoring may well be in demand! "Customers consider the mindset of the seller far more important in rebuilding trust than the detailed characteristics of what is being sold. The companies that get this, at the deepest level, are exhibiting the kinds of behaviours that genuinely build trust". Demonstrating values such as respect, following through on commitments (integrity), and proactively disclosing mistakes (honesty), were shown to be aspects of an organisation's mindset that were important elements for re-building trust. So if we consider how the learnings from the banking sector can be applied in the food sector, it is clear there are opportunities for building on current efforts around being more transparent, a common way that we aim to address trust. An opportunity also exists to focus on how we can adopt a cultural mindset of honesty and care, of making sure we follow through on commitments, and of being humble and open when we make mistakes. These are all ways to indicate that relationships matter more than transactions, and that a company shares the same values as consumers. If we can expand our focus beyond the everyday need to sell products, and aim to build long term relationships with consumers by indicating an honest, open, humble, responsible and caring mindset, we will be well placed to build trust, create greater customer loyalty, develop greater resilience for our organisations and place the food industry as a whole in a better place for the future. Overall, we could do well to acknowledge and implement Uncle Ben's timeless advice. P.S. Stan Lee, creator of the Spiderman character and many other superheroes, sadly passed away earlier this month at the age of 95. He will be well remembered for his contribution to turning comics into a legitimate form of story telling and sparking the imagination of children everywhere that they can turn themselves into everyday superheroes. I recently caught up with Matt Church Founder of Thought Leaders and author of Next - Thoughts about tomorrow you can talk about today. Matt talks on the future across various industries sharing his insights around navigating in the decade of disruption. 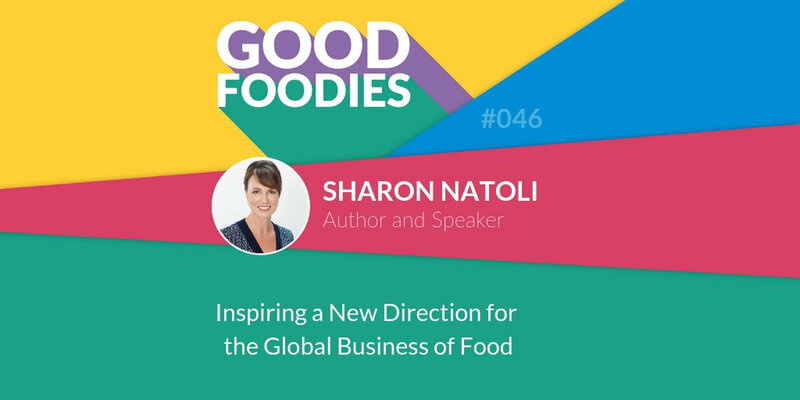 In this interview, he shares some of his thoughts and highlights their relevance to the business of food. One of the biggest shifts we're seeing is that of the educated consumer. People want to be involved in the buying process and businesses will need to develop levels of expertise that match this more informed consumer. The emergence of radical transparency and responsibility is a critical influencer of future success. Selling is no longer command and control, transactional or about pushing products. It's increasingly about creating partnerships with the buyer. On the balance between standing out and fitting in, this is playing out in the move from customer service, through to customer intimacy and now to customer inspiration. For brands and businesses it's now about taking people to a place they didn't know they wanted to go. An interview with the effervescent and generous Justin Nel from Mintel. Between 2012-2016 McDonalds lost 500 million transactions to competitors. In an interview with Fast Company last week, CEO Steve Easterbrook said the reason was because the company had ‘lost a meaningful connection with customers’. Rather than eating at McDonalds, people were going elsewhere, both to traditional rivals and to new fast-casual restaurants including Sweetgreen (est. 2007) and Shake Shack (est. 2004). The answer to the problem, according to Easterbrook, is to introduce a new Quarter Pounder made with a fresh beef pattie instead of a frozen one, and to have the meat cooked on the spot upon ordering. For a company known for its predictability, this is a significant move and one that will involve major changes to its supply chain. As I read this story last week, it made me reflect on whether the proposed change would be enough to fix the problem. There are two questions that came to mind. Firstly, does a fresh beef pattie cooked upon ordering create a more meaningful connection with consumers compared to offering a frozen one? The answer is partly yes. Research shows people are seeking to include more fresh foods more often and are looking for convenient ways to do this. The second question was whether the potential uplift in meaning would be enough to shift behaviour and prompt consumers to choose McDonald’s over its competitors. The answer to this question is likely not. Creating a meaningful connection with consumers that is strong enough to influence behaviour today requires more than a change from frozen to fresh. This is a good start, however more needs to be done. It's an argument I put forward in my new book, Food for a Better Future, along with offering a potential solution. So, other than the fresh food, what is it about food chains such as Shake Shack and Sweetgreen that has these outlets maintain a meaningful connection with consumers, and as result experience growth rates of up to 41% in 2017? The answer may lie in the fact that they stand for something more than selling 'better for you' burgers and fresh, locally sourced salads. In fact their brand personifies a sense of ‘positive rebellion’, and this connects them with the growing number of people who are seeking to ‘rebel’ for the greater good of society. Food that is better for you is part of it. But it's not the full picture. According to Larry Fink, head of the world’s largest investment firm Blackrock, the mood of society has changed and now demands that businesses, both public and private, serve a social purpose. This is a clear signal that doing more than simply selling goods and services is also good for business. For those in the food sector, the most congruent way to demonstrate this is to develop values that serve a purpose connected to food. And these values often mean rebelling against the traditional, business as usual approach to food production, marketing and retailing. Shake Shack do this through their umbrella commitment to ‘stand for something good’. This is demonstrated by the type of ingredients they use, their transparent supply chain and their environmental commitments. For Sweetgreen it’s that they are always looking for ways the business and its customers can be a positive force in the world and on the food system. The company’s food ethos includes a commitment to scratch cooking, transparency through working with farmers who are doing the right thing and sustainability from store design to waste management, local sourcing and food safety. A key distinction is that by taking a stand and voicing their beliefs, both Shake Shack and Sweetgreens lead customers, rather simply following them. When looking to create greater brand meaning, that emotional need could be the need to do good. People are looking for a greater sense of meaning and are seeking ways to spend their dollars with companies that share their values. Creating greater brand meaning by developing values that are centred on your food, and which are supported by genuine actions over a long period of time, is a key way forward for brands looking to build and maintain future relevance. At the Food SA Summit last month, I had the opportunity to hear Sarah Leo from Open Book Howden talk about the emerging application of augmented reality to the food sector. This technology has been around for a number of years, however it's application to food has been less well known - until now. Sarah demonstrated how augmented reality is being used to connect purchasers with the story behind the food they are buying. By scanning images of a product with a smart phone, the people responsible for producing the food are brought to life, speaking directly with the purchaser and providing information of relevance to the brand. It's like having the producer or grower right there with you - a bit like Pokemon Go with an added layer of sophistication. The ability to share more information with the consumer in a way that doesn't involve squeezing more copy onto a label, using more packaging or paper, or sending people to a website, is a clear advantage of this technology. However where it may have the greatest impact for food producers is on creating and maintaining a human connection between the source of the food and the consumer. Humans have a primal connection with food and a critical part of this connection is knowing where food comes from. It is this point that may be more critical to creating trust and supporting food purchasing decisions than we previously realised. Research by Elizabeth Redcay at the University of Maryland has found face to face contact, shaking hands with someone or even small but personal interactions such as giving someone a 'high five' can trigger the release of a whole cascade of neurotransmitters, including oxytocin, which increases levels of trust. With consumer trust in the food supply being a major barrier to purchasing decisions for many, maintaining human connectedness may be critical for future success. It may also facilitate better health through maintaining social interaction - something that was a natural part of the food shopping experience when purchasing food from the local butcher, baker or fruiterer was the norm of the day. However with 95% of the food consumed in Australia now purchased through supermarkets, it is more difficult to achieve human to human contact than it has been in the past. This is where augmented reality can provide a solution - bringing us one step closer to a local food shopping experience. This video shows how the technology was used by The Barossa Valley Cheese Company to tell the story behind the production of their cheese and to talk about the relationship they have established with the local dairy farmers. This is one example of how the technology can be used to elevate the role of the farmers, facilitate a connection with the source of the food, and provide a degree of education about how it is made. As we head into an era of food + tech, where kitchen robots could be making our dinner while Google Home orders our coffee, many things about food will change. However, this vital relationship we have with food is a fundamental connection that will remain. Using technology to maintain and enhance this relationship, provides one innovative way to enhance consumer trust and in turn, support future growth. I'm no leadership guru but I reckon Coles management made the wrong decision yesterday when they announced a black flip on their commitment to phase out plastic bags. Instead of following through with the removal of plastic bags from checkouts, Coles have decided to give out free re-usable plastic bags to their customers indefinitely. The rationale, according to the company, is that customers need more time to adjust to bringing their own re-usable bags. But we don't have more time. It was 2005 when Melissa Etheridge sang 'I Need to Wake Up' the theme song to accompany Al Gore's documentary - 'An Inconvenient Truth'. At that point we already knew we needed to make big changes to address the growing threats to our planet. But the truth about the planet is inconvenient and it's hard to wake a business if it's pretending to be asleep. However, with the degree of attention being given to the environment currently, you could be virtually asleep and still be aware of the issues associated with plastics in our oceans, and the fact we use 1.7 times the planets natural resources to meet our current lifestyle. Our habits are eroding our environment and we have a responsibility to do something about it. Ignoring the problem by doing a doona dive won't make it go away. The thing is - it's not just about saving the planet - given, some care about this and some don’t. It's also about business growth. It's hard to see how Coles will gain customers from this decision. Sure, some irate customers who could be inconvenienced when they forget, or don't bring enough re-usable bags will be appeased and Coles will keep these customers. But they'll lose those who care about the environment and want to do their bit to make a difference. And significant numbers of people want to make a difference - it's one of the drivers that gives our lives meaning. “The opposite of love is not hate, its indifference. The opposite of art is not ugliness it’s indifference. The opposite of faith is not heresy it’s indifference. And the opposite of life is not death, its indifference". In the research for my new book, Food for a Better Future, I interviewed Tristan Harris from Harris Farm Markets. Sitting at the core of their business is their belief in fairness. Fairness drives everything they do because that's what they believe. If you truly believe in something, you don't black flip - you find solutions. Backed by their values and beliefs around reducing plastic because 'it's the right thing to do' and is consistent with their commitment to the 'Greater Goodness', Harris Farm were well positioned to comment on this issue yesterday and to call on Woolworths not to follow suit. Those in the business of food can make a significant difference to the future health of the planet, the health of our communities and to protecting our natural resources. They can also set themselves up for future growth by developing and committing to values around their food - how it's produced, distributed, sold and consumed. But we need leaders who understand and believe this to be the case. Food production accounts for 30% of the world's energy consumption and 22% of total greenhouse gas emissions. We use billions of plastic shopping bags a year. Food can be at the centre of providing significant solutions - from production, through to distribution, retailing and consumption. Now is the time for leaders in the business of food to lead customers to a better place, and to know when it's useful to follow consumer demands, but also when it's not. If your beliefs don't come from the core of your leadership team, then you're at risk of back flipping. Not only does that mean we're using up more time that we don't have, it also means from a business perspective, you risk losing more customers than you'll gain. And that's not good for the planet or for the shareholders. When approaching food marketing and innovation, we talk a great deal about meeting demand for foods that are 'healthier'. Throughout this process, we often refer to 'healthy' food with an underlying assumption that those we are communicating with share a mutual understanding about we mean. Just as fashion changes over time (I no longer wear my leg warmers from the '80's as exercise gear, for example), so too do the beliefs consumers hold about what they perceive 'healthy food' to be. While changes associated with individual nutrients, ingredients or foods make up our year on year 'trends' these tend to come and go, What we are experiencing right now however is a fundamental shift in the elements that are influencing consumer perceptions about what healthy food really is. While in the past we may have referred to healthy food as 'low in fat' or 'high in fibre', it's no longer that simple. Consumers are smarter and Datamonitor expects single nutrient claims to all but disappear by 2020. We're moving from a nutrient focus, to one that is much broader in context. This is already evident in the shifting focus on ingredients, the desire for 'clean' labels, more real and natural foods, and the influence of the degree of processing a food has undergone over-riding its nutritional value as a deciding factor in how healthy it is perceived to be. This evolution will continue to incorporate additional elements that will influence perceptions of health in the future. The various layers of influence are depicted in the above diagram. To remain relevant and to create meaningful connections with consumers, it will be critical to understand how each of these layers influence perceptions of health across individual products and categories, and to strategically integrate each into marketing and innovation strategies. Does your product contain key nutritional elements that are yet to be highlighted? If you are unsure, the first step is to dig a little deeper and find out. The next step is to consider how you can communicate these benefits in a meaningful way. What ingredients are present that contribute to good health? Can these be highlighted? What targets may you set around ingredients to remove or replace? If your product is a whole food, what unique benefits does it bring? If it is a mixed product, what whole food ingredients can be highlighted or added? Can you communicate where your food comes from and how it is made? Are there opportunities for greater sharing and education that demonstrates how the food system sitting behind your product contributes to its health credentials? How does the way your food is produced support a positive food environment, and how does it support social and cultural aspects of food and eating? Thinking full circle and addressing each of the layers that contribute to consumer perceptions about how healthy a food is provides a significant number of opportunities for differentiation and the creation of a meaningful brand and an authentic and trusted corporate or industry voice. The arrow to the right of the model indicates that if we continue to focus on just nutrients and ingredients, we are addressing just a fraction of what can be said about food. For those looking for future relevance, the target is to hit 100%. Further details around the above concepts and how they can assist your business prepare for the future, can be found in my new book Food for a Better Future. Pre-order your copy here. Hear me speak on this topic in September at Innovate & Excite: Acting Today to Advance Tomorrow, AIFST Convention 2018. For further details go here. The International Food Information Council’s 2018 Food & Health Survey* (IFIC), released on 16 May, provides valuable insights into the evolving consumer mindset while highlighting current and emerging influences of food purchasing decisions. The survey findings provide relevant insights for the Australian market and I've outlined my top 5 take outs below, along with considerations when applying these locally. If the nutrition information on two different products is the same, a consumers purchasing decision will be swayed by the values the product portrays. The drivers with the strongest influence are sustainable production, freshness and a shorter ingredient list. Nutritional value is important to convey however may not provide the level of differentiation needed to influence purchasing decisions. It is becoming increasingly necessary to back up any nutritional features with values around how food is produced and the type and number of ingredients it contains. Eighty percent of shoppers say they often come across conflicting information and for 59% this makes them doubt their choices. This doubt is in turn creating stress when it comes to making decisions. Those who report being confused are more likely to stick with what they know and be influenced significantly by familiarity. The idea that consumers are confused and are therefore struggling to make clear purchasing decisions further supports findings from Mintel in their APAC trends research reported here in April 2018. This highlights a growing need to seek out ways to help consumers make informed and clear decisions. Creating greater levels of trust, steering clear of fads and avoiding cluttering categories with choice are some considerations. Finding ways to reassure consumers about their purchasing decisions will also be helpful. This could be through elevating the expertise of your brand, creating links with trusted external advisors or developing a more meaningful relationship by creating shared value in areas consumers care about. Sixty percent of survey respondents said it’s important that the food they buy and eat is produced in a sustainable way.The top considerations are reducing pesticide use, ensuring an affordable food supply and preserving natural habitats from which food is sourced. 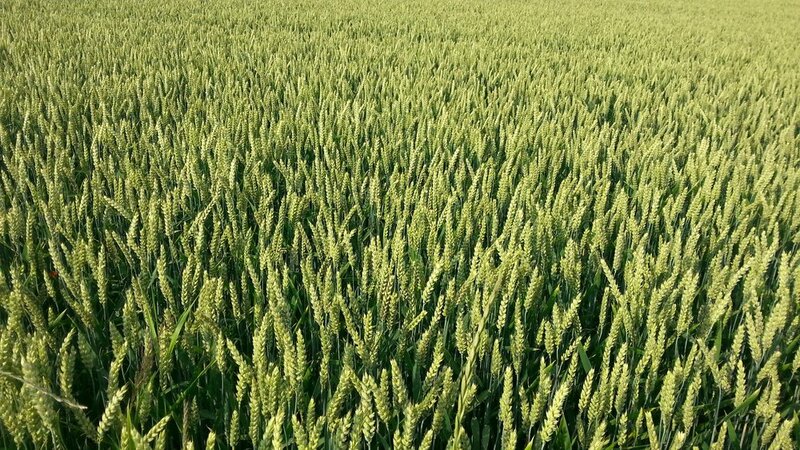 Respondents also indicated they are starting to think about ensuring a sufficient food supply for the growing population. Sustainability is the next big issue in food and it means considering more than the end product produced or sold. Sustainability is a holistic approach to the way food is produced, its nutritional value, its environmental impact and its contribution to maintaining and preserving a positive food culture. This area provides significant opportunities for differentiation in marketing and innovation for those willing to invest in understanding the bigger picture issues and aligning their business accordingly. For a good overview of this area and the implications and opportunities for food businesses in 2018, this article by Ben Cooper in Just Food earlier this year is a worthwhile read. The desire for ‘real’ food remains strong with 70% of consumers stating they would give up a familiar food for one that contained fewer artificial ingredients. Forty percent of those who would switch brands state they would pay 50% more and 20% said they would pay double. The desire for fewer artificial ingredients and additives continues to grow. Commitments around reducing these in foods will be of ongoing appeal to consumers. Growth in 'fresh' and 'real' food is complementary to this and seeking out ways to help consumers include more fresh foods in their daily diet is supportive of this trend. The top three health benefits consumers are looking to obtain from their food are those linked with heart health, weight loss or management and energy. Brain functioning which includes memory, focus and cognition came in fourth indicating the area of 'food and mood' is also of growing interest. The regulatory framework in Australia provides good opportunities for linking foods to each of these areas, with some providing greater and lower cost opportunities than others. The key for food providers is to assess the nutritional profile of products and understand which nutrients and ingredients can be used to support which claims. My perspective is that there are significant, untapped opportunities that exist in this area for those prepared to investigate a little more closely. Other key findings outlined in the research include the ongoing desire to avoid too much sugar, the continuing concern about carbohydrate and weight gain, and the high numbers of people who are eating always or sometimes with distractions. While taste and price remain key drivers, price is continuing to loosen it's hold as an influencer and is coming in at a lower level than it did in 2017. When asked about online shopping, it seems take up is slow with the majority still feeling more comfortable going to the supermarket in person. Further details and a copy of the findings from the survey can be found here. *The IFIC Food & Healthy Survey was conducted in March 2018. It was an online survey of 1,009 Americans aged 18-80 years. Business management guru Peter Drucker coined the well known phrase 'culture eats strategy for breakfast'. It implies the strength and nature of an organisation's culture is more powerful at influencing company operations than a highly developed strategy. When it comes to effectively addressing and improving future food choices, this saying has equal applicability. While watching the recent episode of Four Corners on the ABC on whether Australia should have a sugar tax, I found myself siding with the comments of a Queensland sugar cane farmer. When asked about his thoughts on the issue his reply was "I just am opposed to taxes upon taxes upon taxes. I just don't think it's the right way to get the message across. It's a cultural thing. We need to change the culture of people's eating habits, and education is the best way to do that". The real problem he said, is not the fact he produces sugar, it's the cultural shift that has occurred in our eating habits. And herein lies the real challenge. The population's intake of sugar and sugary drinks is already on the decline. People know too much sugar is bad for them. So while a tax may, or may not, accelerate the current decline it could be seen as a distraction to the real problem - and that is, that our food culture is the issue that needs attention. Eating on the run, not stopping to appreciate food, over-consuming, eating alone and buying more than we need, are elements of our food culture that sit at the heart of the problem. It's bigger than micro-managing sugar - what we really need to influence is our cultural appreciation of food and to work on elevating it's valuable role as a contributor to good physical and environmental health and as a facilitator of positive social connections. Major inroads into improving dietary intakes will be challenging unless efforts are made to address these issues. Using the 'carrot' rather than the 'stick', promoting and embracing enjoyment of food and re-connecting with the source of our food, will likely lead us toward a better future for food, and one that supports genuinely good health. Create a culture within your own work place where food is elevated, valued and appreciated. Prioritise time to sit and eat lunch together or to celebrate achievements over a meal. Cultivate a love of food among the target markets you work with - incorporate marketing and communication activities that support growing, cooking and experimenting with food. Re-consider constant price promotions - aim to say more about your products than 'on special' this week. Provide more information about the production, distribution and origins of food. Research and highlight the cultural connections that your food, or its ingredients, has with its origins. Consider sharing stories that highlight its role in traditional eating patterns or stories around how it is sourced. Focusing on how and why we eat, and not simply on what we eat, provides a great opportunity for food marketers to embrace a direction that supports consumers to eat well, to raise their consciousness around their choices and to start cultivating the idea that 'enough' is abundance. This facilitates a positive food culture that will naturally include sugar in moderation, without a slap on the wrist for buying it.